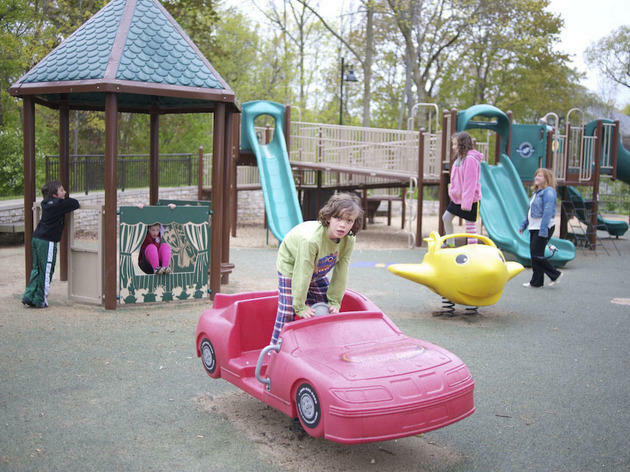 While this lakeside Evanston playground was designed with the input of therapists to allow children with physical limitations and sensory issues to have a playground they could enjoy, it was also meant for typical kids. “The goal is for everyone to play there,” says Julie Cutter, who (along with her husband, David) helped raise the money to build it in their son’s memory. 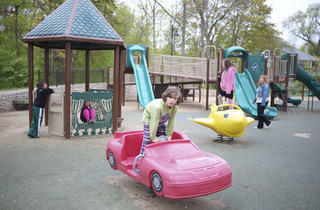 Highlights include a wheelchair-accessible climbing structure, seated swings and a Braille map. The parking lot, water fountains, picnic tables and restrooms are equally accessible, making this a playground that truly lives up to its name. Lighthouse Beach at Lawson Park, Sheridan Rd and Clinton Pl, Evanston.